The Honda Civic continues to be a favorite compact car, and with good reason. For 2019, the hot-selling Civic returns in three stunning body styles along with multiple powertrain choices and an array of trim levels available. Whether you're looking for a sports coupe, a sophisticated sedan or sleek and versatile hatchback, the 2019 Civic lineup has you covered! Marlton and Hamilton, New Jersey area motorists can turn to Davis Honda for a stellar selection of new Honda automobiles for sale, including the 2019 Civic. Before stopping by our Burlington, NJ for a test drive, why not explore the full range of new Honda Civic models for sale here on our website? Upon your visit, our helpful Honda sales associates will offer you a tour of any new Honda that has caught your attention, answering any questions you may have about its impressive features list as well as our current lease and finance offers. 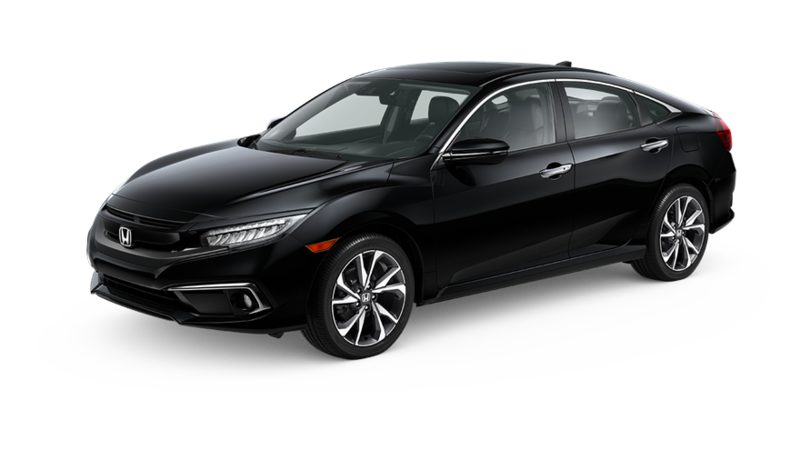 Thanks to the sedan, coupe and hatchback variants, there's a 2019 Honda Civic for every personality and preference, and with a range of trim levels, there's one that fits your budget, too! Start with the Civic LX in any body style to enjoy standard Honda Sensing® features like Collision Mitigation Braking System™, Adaptive Cruise Control (ACC) with Low-Speed Follow and a Lane Keeping Assist System. Inside the cabin of every 2019 Civic, there's also Bluetooth® HandsFreeLink® and Streaming Audio for your convenience and entertainment, plus a Multi-Angle Rearview Camera with Guidelines to keep you alert of your surroundings. Davis Honda is just a short drive from nearby Princeton, NJ and offers a multitude of Honda automotive services, including new and pre-owned auto financing, routine maintenance and genuine Honda parts. We welcome to you contact our team at any time to learn more about the exciting lineup of new Honda automobiles for sale at our New Jersey dealership!